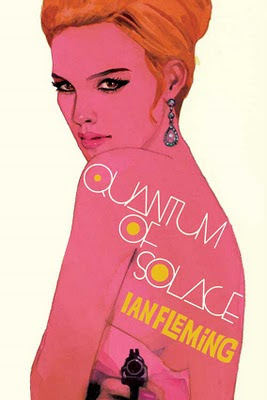 Artist Michael Gillette, who designed the covers for the 2008 Centenary editions of all 14 Ian Fleming James Bond novels, has now created a new cover for the short story collection, Quantum of Solace. This cover was made for the portuguese publisher Contraponto. With thanks to HMBFF of Portugal Bond. Sorry, I don't know if this was ever published. Never went after it myself. I had forgotten all about this actually.